Zita knew she should feel apprehensive that the head of her unit and the third in command after the Queen and Kaza had, for the first time ever, summoned her. But she just wasn’t. 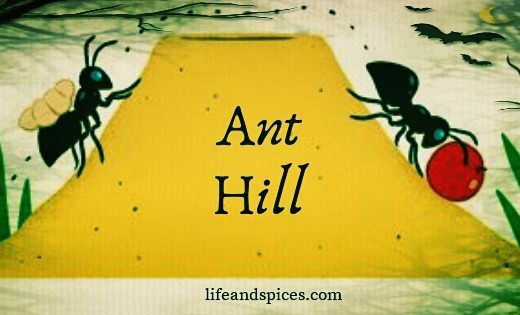 She couldn’t explain why or how, but she felt like a whole new ant—fearless and full of a hope that hadn’t been there before. 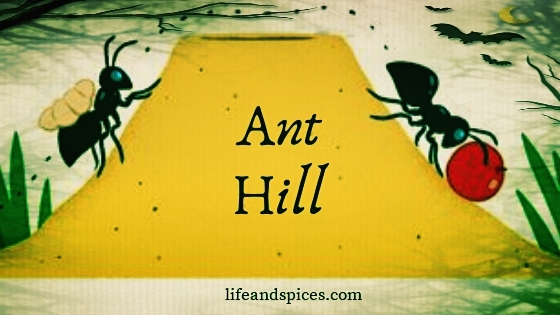 The experience of the night before out in the open field, uninhibitedly free of laws and restrictions, away from ever-probing eyes and the mundane regularity of their everyday ant life on the Hill, has filled her with this new strength. It has awakened in her a hunger for something more. A desire for a life that was more than just waking up at the break of dawn and working tirelessly till nightfall. No, she wanted more. She wanted the fun, the laughter, the freedom… the love. And no, she wasn’t afraid to appear before Doga. She crawled into the larvae chamber where Doga usually was, over-seeing things. Her eyes met with Kiki’s as she entered. She gave her a funny look. But Zita ignored her and advanced towards Doga. “You sent for me, Doga.” She said in a quiet self-possessed voice. The lie to save her head, no doubt, annoyed Zita. It was completely unnecessary. But before she could reprove her and state what was true, Doga spoke in her low, measured tone. The tone behind the question indicated disbelief. Zita supposed it was because Kiki was such a meticulous ant and no one ever expected such act of disorder from her. “Do any of you want to tell me what you were doing outside without orders?” Doga looked now from one to the other. Zita raised her head to correct Kiki’s lie but the interfering Kiki was already responding. Zita gaped, unable to believe that Kiki could spurn such a mad tale and certain that Doga would see through its unlikeliness. And there goes, not just my head, but stupid Kiki’s too, Zita thought. But Kiki once more shocked her. And maybe even Doga too. “Down the valley leading into the corn field.” She said and proceeded to give accurate descriptions. Zita wasn’t certain if her eyes weren’t popping out of her head. Was there really a new food nest? “I did not ask you to save my head.” Zita was still annoyed at her interference. “Ungrateful!” Kiki drew closer and struck her again with her antennae. Zita stared at her as she swung around to return her attention to the larvae. Things would never again go back to normal. She didn’t want them to. MEANWHILE, inside our chamber, Toki was doing his best to drive me insane with his nonstop babbling about the upcoming nuptial flight. “I wonder which of the Princesses I’ll end up with.” He said for the umpteenth time. “I sure hope it will be Loka. She gleams so brightly. Brighter than all others. Except of course, the queen.” He made a creaking sound at the impossibility of that. I made an appropriate sound in agreement, not at all listening to him. My thoughts were all wrapped around Zita and her declaration of love the night before. So she loved me too? She had declared it, spoken it to me. She loved me, as I loved her. The thought of it made my heart swell and almost burst out from my bottom. We were in love… and we must do something soon. Soon, because the night of the nuptial flight was at hand. When Zita has made up her mind to scatter ground! But Kiki is a bahd gurl! Kiki has saved the day O ooo. Thanks dear.